Volkswagen is a German automaker founded in 1932 and the flagship brand of the Volkswagen Group. In true German fashion, Volkswagen cares, above, all things, about efficiency, effective production, and customer service. It also believes that the best way to achieve this is by combining this with a great care for the environment through the promotion of the use of clean factories and clean cars and also through the support of various projects aimed at protecting nature and species diversity, maintaining the workforce happy and motived through the promotion health, fitness, women and diversity and enhancing existing personnel's qualifications. Even though it produces cars with a different number of amenities and different price points you'll always find across their wide number of brands and range of vehicles the same commitment to delivering the customer a high-quality piece of machinery, that can fit into the customer's life seamlessly and turns their lifestyle into a more practical one. Whether you're looking for a family car or something more luxurious you can always find used Volkswagen cars on finance, take a look at the deals available starting from 50 per month. 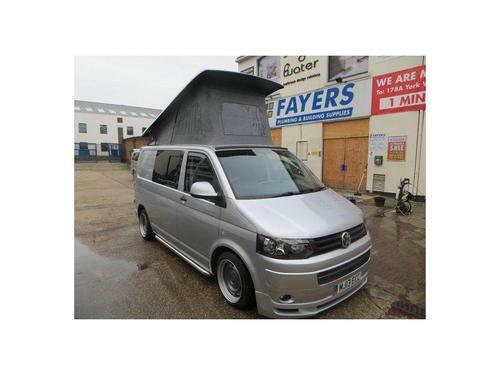 This Volkswagen Transporter 2.0 LITRE 2.0 TDI T28 PANEL VAN has clocked up 46000 miles and has a 2.0 LTR Diesel engine. This particular second hand model from this dealership in London comes in a Silver finish. So get in touch with President Motor Company right now and find out more about this second hand car. Interested in buying one of the top ten, best selling vehicles in Britain? Then consider choosing this second hand POLO 1.2 MATCH from our dealership in London, it has a 1.2L Petrol motor with Manual transmission and it has clocked up 75000 mi. Want to have more info? Just talk to one of their helpful advisers. 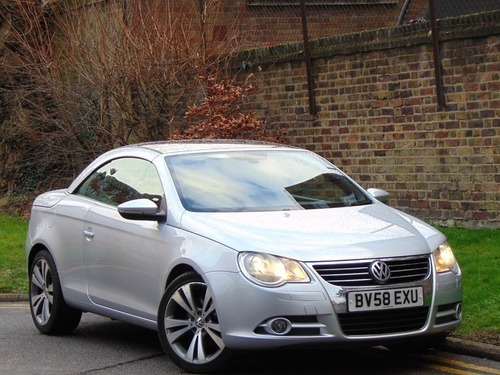 Now available to test drive at your request is this used Volkswagen EOS with 89000 miles clocked-up on the dashboard, Manual transmission and a 2.0 ltr Diesel motor. You can buy this second hand car in London from this car dealership with a loan. Payment options begin at just £69.10 a month. Starting off at £253.66 each month, you can buy this GOLF SE TSI BLUEMOTION TECHNOLOGY DSG 5DR with 32000 miles clocked-up on the dash, Petrol 1.4 litre engine and Automatic gearbox. With only a mere 32000 miles on the clock and priced at just £10,995, this popular, best selling GOLF is likely to sell very fast. Don't miss this terrific offer from our showroom located in Fulham. A 1.4 ltr Petrol engine and Automatic transmission are just a couple of the qualities that this Volkswagen has to offer its driver. As you would expect from a vehicle in this class, this GOLF SE TSI BLUEMOTION TECHNOLOGY DSG 5DR offers its driver a substantial amount of additional specifications, further enhancing your driving experience. With affordable payments on hand commencing at around £267.50 per month, this GOLF SE TSI BLUEMOTION TECHNOLOGY DSG 5DR could be yours to drive home before you know it. Call or email the knowledgeable staff for more information. Harringtons Of Fulham Ltd in Fulham is currently advertising a brilliant price of just £8,495 on this best selling Hatchback equipped with a 1390 CC Petrol motor, Automatic gearbox and 47000 miles clocked up on the dashboard. 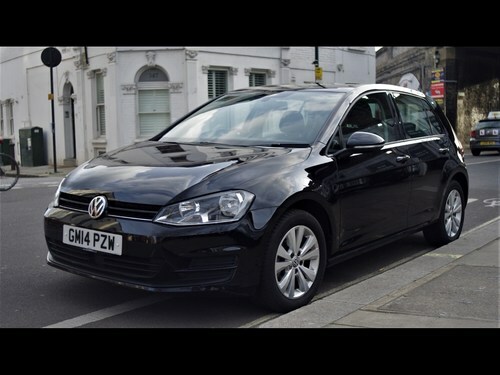 Enabling you with the possibility to become the new owner of this GOLF Match Tsi Dsg 5dr, Harringtons Of Fulham Ltd has a selection of monthly repayment options to help you in the purchase of this used vehicle. With a price of £8,495 and the possibility of repayments beginning at only £195.98 per calendar month, you could be driving this Volkswagen GOLF Match Tsi Dsg 5dr away sooner than you might have thought. Are you thinking of going for a GOLF Match Tsi Dsg 5dr? Then have a look at this second-hand model with 63000 miles on the clock incorporating Semi Automatic transmission with a 1.4 litre Petrol engine. Visit or call the customer service dept at Harringtons Of Fulham Ltd to find out what more this motor has on offer. Become the next owner of this dependable and durable POLO that is featured in Britain's top 20 reliability index. This second hand model from us at Harringtons Of Fulham Ltd is in near mint condition throughout with only 45000 miles clocked up on the dashboard and even comes with a full service history. Contact us for more info and to test drive this Volkswagen POLO S Ac 5dr. Don't miss out! 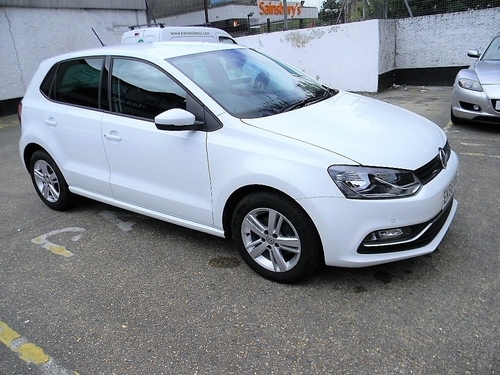 This White POLO with a Manual gearbox and a Petrol, 1.2L engine at just £11,694. Contact our dealership to learn more. Travel to Hassop right away to view this Volkswagen POLO for yourself. Be the next owner of this vehicle featuring Auto transmission and a 1200cc Petrol motor. This second hand model comes finished in Silver and has clocked-up 21296 miles. To discover more about why this used car one of the United Kingdom's top 10, most popular models, get yourself down to this dealership or call to talk with their friendly sales team to organise a test drive. It can be all yours for the fantastic price of only £10,799 or alternatively, you can also buy on finance with budget-friendly instalments starting off at £249.14 monthly. 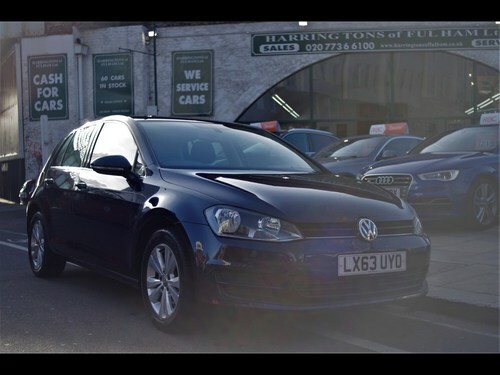 Are you interested in owning a GOLF 1.4 TSi Sport DSG? Then consider choosing this second hand model, it contains a 1.4 Litre Petrol engine with Auto transmission. Paying for this Volkswagen doesn't have to break the bank, simply talk to this dealership's friendly team to discover which finance plans are suitable for you. Payment packages start at only £242.21 per calendar month. Up for sale and ready for its new owner to drive away is this Volkswagen GOLF with a 1.6l Diesel motor and Auto transmission. This second-hand model has a Silver finish and has clocked up 79183 miles. To learn more about this car, take a trip down to see Cargiant. You'll find tailored finance options on the bargain price of £8,999 with affordable repayments beginning from just £207.61 per month. On the market and ready for you to drive home is this second hand GOLF. This particular vehicle has Manual transmission and a 1400cc Petrol engine. 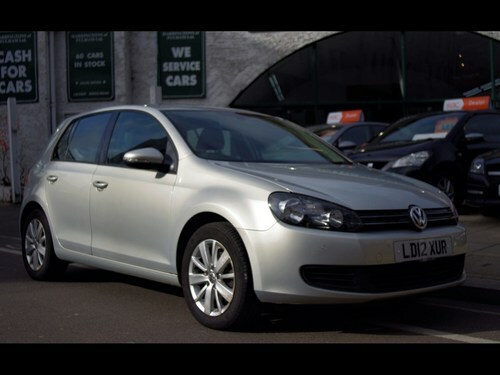 Grab the chance right now to purchase this German Volkswagen GOLF for the fabulous price of £11,299. Put yourself in the driver's seat of this Volkswagen featuring a 2.0L Diesel motor and Manual transmission. This second-hand one at our dealership in London has been finished in the shade of Black and has got 38504 miles on the dash. Simply pick up the phone or by drop in and have a chat with the sales team at Cargiant for a more in depth discussion. For the total cost of only £12,999 is this GOLF that has a 1600CC Diesel motor with Manual transmission. This second hand one now in stock at our dealership in London has 21475 miles clocked-up on the dash. 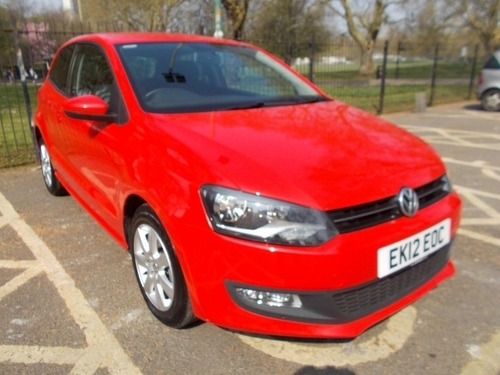 Contact Cargiant in London to take this Hatchback Volkswagen out on a test drive. Get yourself behind the steering wheel and experience how it feels out on the road. GOLF with a 1000cc Petrol motor and Manual transmission. Be sure not to miss out on this motor that is sure to sell in no time. Go ahead and get more information about this vehicle today by calling or emailing a member of the sales department at Cargiant. Be the next owner of this Volkswagen POLO 1.2 TSi SE DSG with Auto transmission and a 1.2 ltr Petrol engine. This second hand model has a Blue finish and has done 27984 miles. 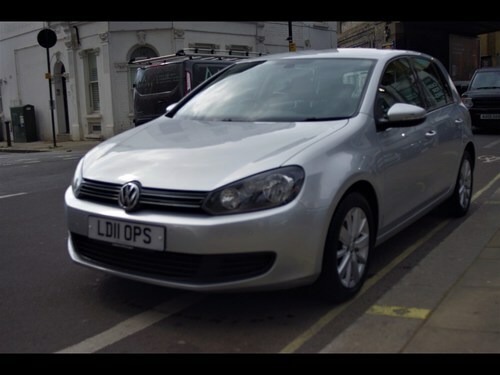 This POLO is currently available on the market in the London area. Email or call Cargiant today to organise a viewing. Showing 1-18 of 26,051 items.